With summer weather, golf season is well underway nationwide. Most golfers agree: Any (legal) measure that reduces strokes from your game is worth any amount of time, money, and effort. With that in mind, check out our rundown of high-tech gear and gadgets that could mean the difference between a great round and a good walk spoiled. Analyze this. Without video at the tee, it’s hard to analyze what you might be doing to slice your ball into the woods or hook it into a sand trap. 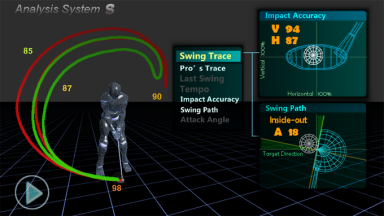 Now, with the Zepp Golf Swing Analyzer, you can keep a careful, nuanced track of your swing. 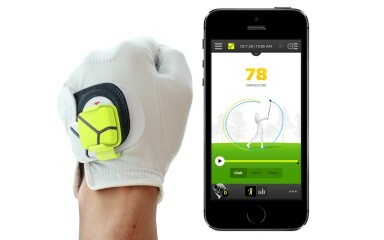 With a gadget that clips to your glove and connects via Bluetooth to your iOS or Android device, the Zepp Golf Swing Analyzer contains memory for up to 2,000 swings, providing detailed information on swing speed, positioning, and tempo. Another dimension in swing analytics. For a 3-D swing critique, the SwingSmart Duo Training System employs iOS and Android technology to give you instant analysis on tempo, swing speed, face angle, club path, and angle of attack. Easy to install, SwingSmart also gives you the option to email any swing to an instructor or friend for additional feedback. Get smart—soon. Smart Golf just might be the best practice club ever created. There’s just one catch: It doesn’t actually exist just yet. 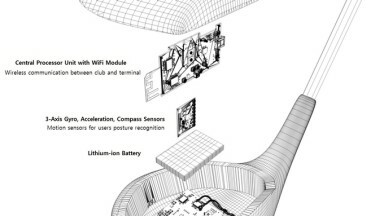 With their Kickstarter project finished in June of 2015 (having successfully raised more than $20,000 in volunteer funds), the Smart Golf team is developing a Wi-Fi-compatible golf club that puts the technology to record your swing in the club head. As an audio alert lets the golfer know that he or she has made contact with the virtual ball, information regarding the swing, rhythm, tempo, speed, and angle of the virtual shot is made available through a selected Wi-Fi device. Smart Golf is scheduled to ship in October 2015—just in time for those looking to improve their games over the winter. Like a caddy on your wrist. 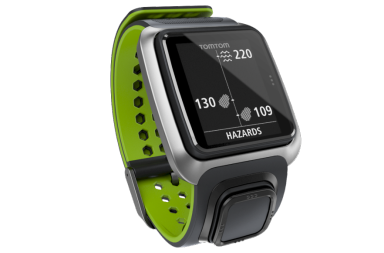 Dutch tech company TomTom has been turning heads recently with the TomTom Golfer, a sports watch that helps golfers better manage their game. With graphics that display the vital statistics of more than 34,000 golf courses all over the world, TomTom Golfer uses GPS technology to find accurate, up-to-date information about course distances, hazards, and best approaches to the green. Get used to friends not believing you when you claim you’ve never played the course before. 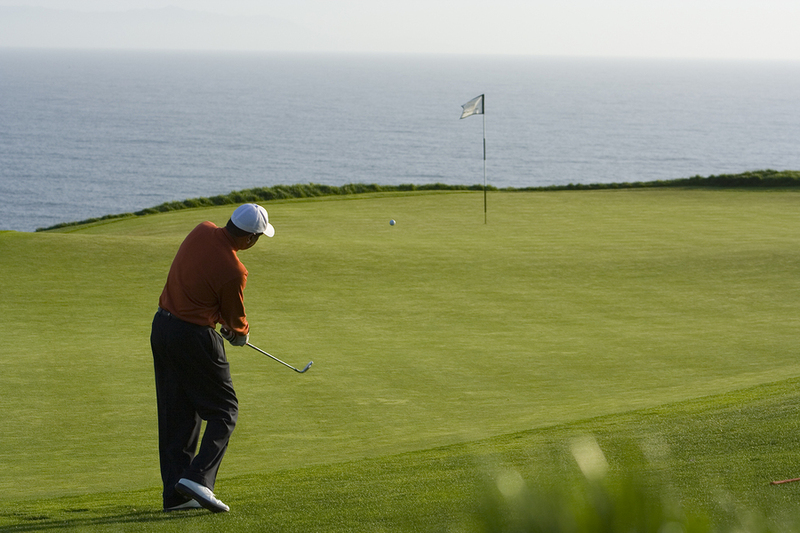 Get a play-by-play of every swing and putt. Ever watch those post-play interviews on TV and wish someone would go over your game with you? 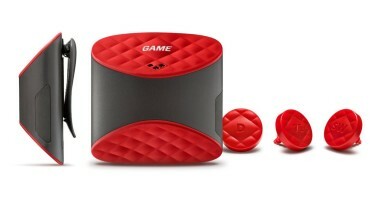 Wish no more with the Game Golf Digital Tracking System. Simply clip the tracking device to your belt and tag your clubs so that everything you do during play, from course strategy to club selection, is tracked with merciless accuracy. Then, after you’re finished, you can analyze your round on the web or a mobile interface, and even share your overall stats and records with friends on social media. Perhaps best of all, all the statistical parts of your game are recorded, calculated, and displayed as trends over time, giving you a fuller picture of your strengths and weaknesses.